For the last week, MarketPlace has enjoyed welcoming two of our artisans to Chicago. Manisha Pawar and Shaily Agrawal are both learning about the US side of the business and the culture and life of the American women who wear the clothing the artisans design and make by hand. Their visit began with a low-key first few days, including a welcome party at the family home of Pushpika in Evanston, and a day on Devon Street — the home of many of Chicago’s Indian shops. Pushpika and Manisha prepare for the arrival of guests! Today Manisha and Shaily were asked a few questions about their visit…which they are clearly enjoying! Shaily said she was moved by not just how nice people were to her at the welcome party but how much everyone truly appreciates the MarketPlace artisans and their work. …. And we do! 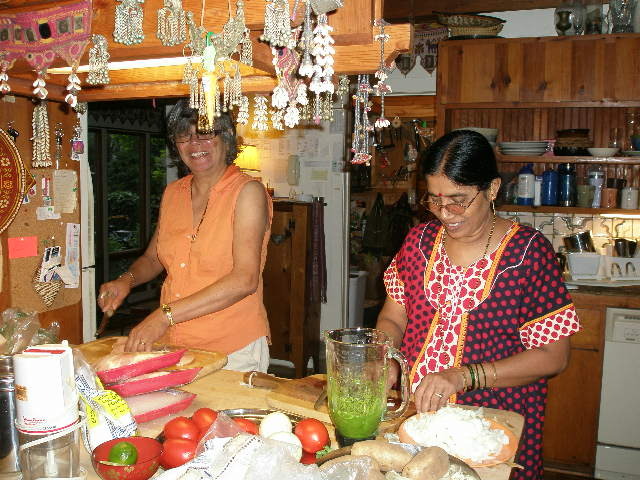 We also appreciate the cooking Manisha and Shaily did for the many friends of MarketPlace who came to welcome them! Authentic Indian cooking is almost as divine as the hand-embroidery the MarketPlace artisans are known for! 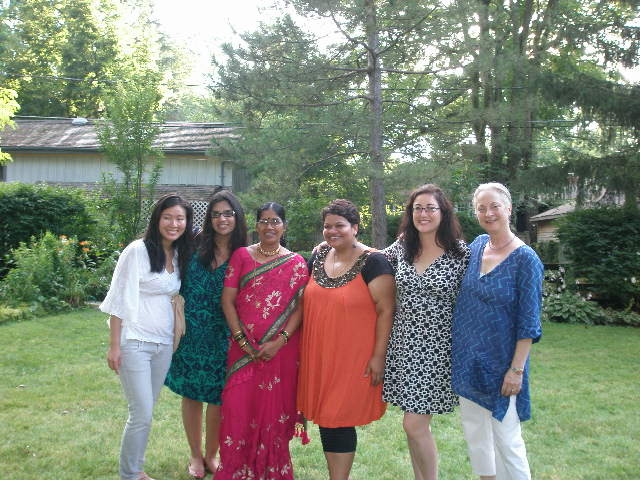 MarketPlace Board, Junior Board, and Staff Members welcome Manisha and Shaily on a hot Chicago night!